Although I am typically a find the brand I like and stick to it type of person, the huge variety and selection of coffees has proven to be an exception to that personal rule. How can I stick with just one type when there are so many more amazing options to discover? Proven yet again by Cross Country Cafe and the introduction of Peet's K-cups to their amazing lineup of K-cup coffees. After being born and raised in Holland, Alfred Peet moved to the U.S. and was shocked to discover what the states called coffee. In 1966 he opened his first Coffee & Tea Store and the rest, as they say, is history. Over the past four decades, Peet's has stayed true to their unrelenting commitment to quality and, with the addition of K-cup packs to their lineup, it is now possible to enjoy their coffees quickly and easily right from your Keurig brewer. 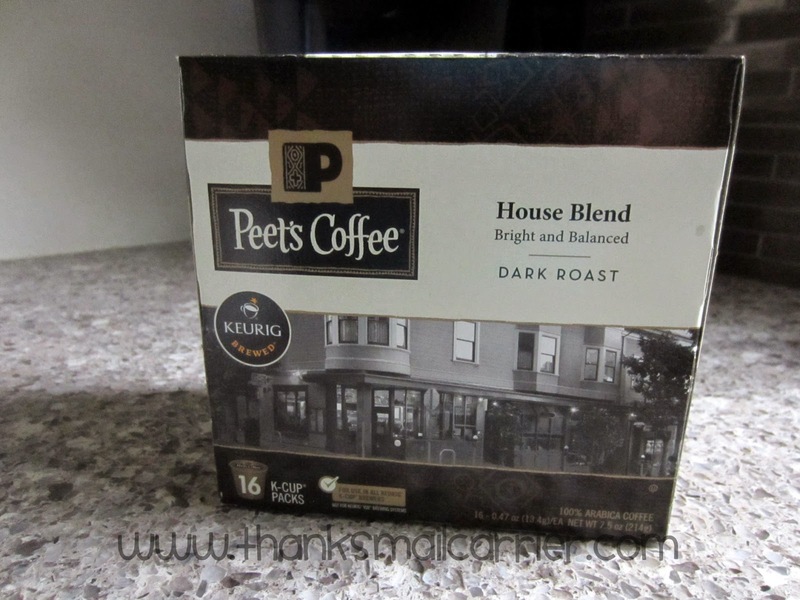 Considering that I was unfamiliar with Peet's but interested in seeing what has made this brand so popular year after year, I was ready to put it to the test with Peet's House Blend K-cups. 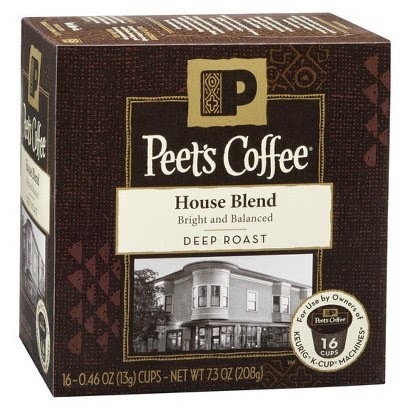 Cross Country Cafe also carries Peet's K-cups in Cafe Domingo, French Roast, Decaf House Blend and Major Dickason's Blend, however, why not start with the classic, signature style of the House Blend? Popping one into my Keurig, the aroma instantly made me feel as though I was kicking back in one of their west coast cafes! My resulting mug of coffee showed that House Blend is a darker, rich roast, full of bright, balanced flavors and medium body that, in my opinion, would appeal to a wide range of coffee lovers. Even though I was initially hesitant due to the inclusion of "spiciness" in this coffee's description, I found that each sip of House Blend was inviting, crisp and extremely easy to love. If Alfred Peet intended that this be his customers' introduction to Peet's, then I can see why folks chose to return again and again to try other varieties. I'm thrilled with this deep, dark coffee and the rich, delicious taste! 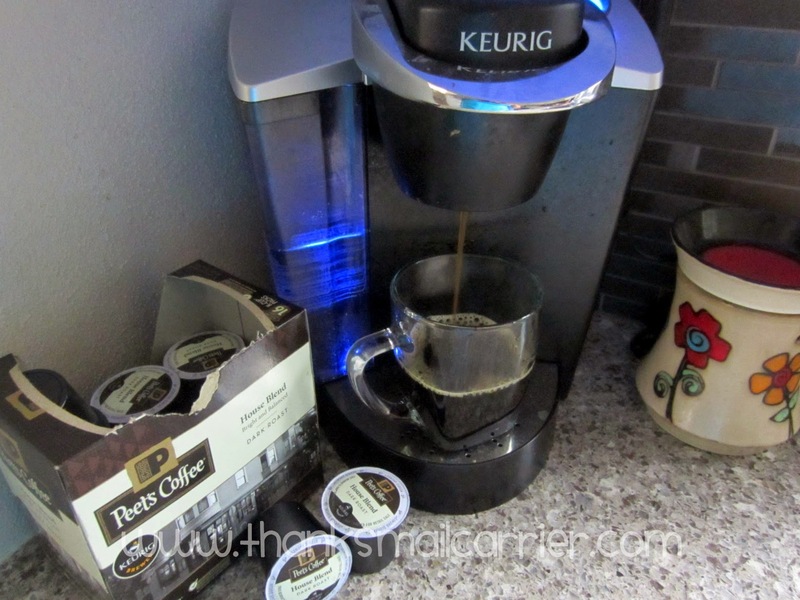 If you're already a fan of Peet's, you'll love that their delectable coffee is available in K-cups for even easier brewing. Or, if you haven't tried these before but are a devoted Keurig user, I recommend picking up a box (head over to the fabulous Cross Country Cafe for a great deal!) to give it a try today! 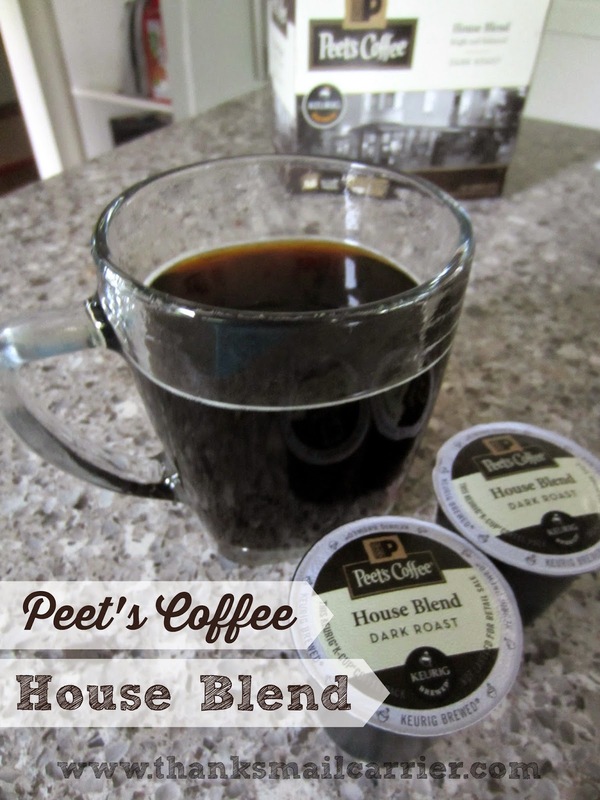 I love Peet's cofeee and I have drank the House blend in my Keurig. It has a very smooth taste and is so delicious. I need to get some more soon! 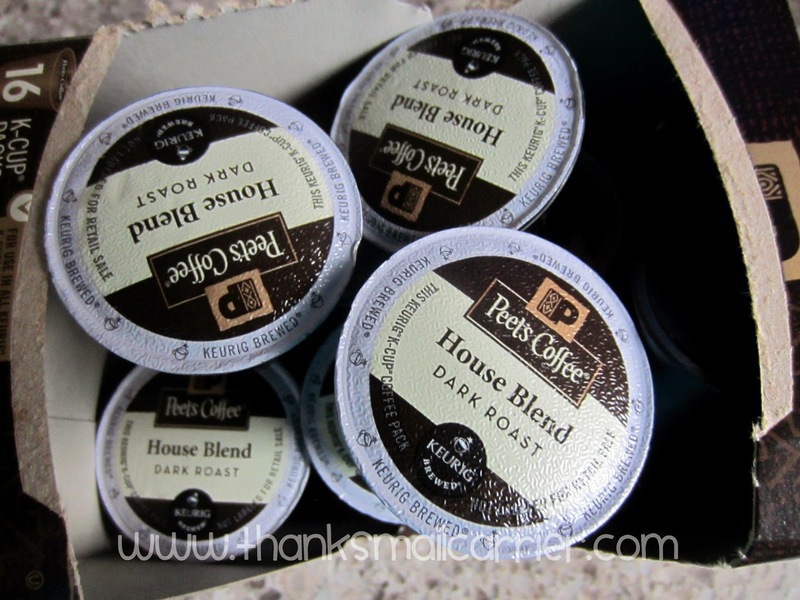 A few months ago, we were lucky enough to get a couple of samples of Peet's when we ordered a different brand of K-Cups from Amazon, and we found the Peet's to be quite good. Thanks for the reminder--I should add Peet's into the regular rotation. I am not very brand loyal. And I don't drink coffee. I love coffee!! I like a dark, rich and strong coffee! I will have to try Peets! Peet's was offering a sample a couple of years ago of their holiday blend and it was one of the best I had ever tried. Peet's makes the best coffee. I don't do k cups but I love their beans. I've wanted to try this brand but haven't gotten around to it yet. It sounds good so now it's my next purchase. Thank you for sharing!